Homeowners with citrus trees in their yards can apply online to have a vial of tiny parasitic wasps mailed to them, that can then be released onto citrus trees. To defend the state’s citrus crop from an industry-crippling infection, scientists with the Florida Department of Agriculture & Consumer Services are fighting pest with parasites. The psyllid carries the infection, which plugs the plant’s phloem, starves the tree and causes fruit to drop prematurely. Tamarixia feed on the pest and lay eggs inside young psyllids, killing them and, hopefully, the bacteria that cause the disease, said biological scientist Gloria Lotz. At a mass-rearing lab in Gainesville, one of a few throughout the state, Lotz and fellow researchers supply over 1 million tamarixia every year to commercial citrus growers and now, Florida residents who want to protect their backyard citrus trees. The tamarixia release program is one of several tools researchers and growers use to slow greening’s spread, including pesticides to kill the disease-causing bacteria and hydroponic systems to keep infected plants healthy. But there’s no single solution to a complex problem like citrus greening. It’s infected nearly 100 percent of the state’s mature citrus trees, said Steve Futch, a citrus agent at the UF/IFAS Citrus Research and Education Center in Lake Alfred. Biocontrol methods usually operate as a “series of waves,” he said; when there are fewer pests, the parasite that hunts them starts to decline, too. The chances of eradicating the psyllid and the infection with tamarixia are slim, he said — but it should work well in smaller, urban environments, where wasps can fly between citrus trees on different properties. The citrus industry employs nearly 76,000 growers, truckers, pickers, and packers who face job loss if crop production continues to decline. But Futch said despite the bleak prognosis, Florida’s staple crop will survive—though it may be a bit smaller. This entry was posted in Produce News and tagged Agriculture, Citrus, Citrus Greening, florida, reedtms, transportation on August 2, 2017 by ReedTMS. Strawberries were abundant in the summer, and that trend should continue as the season heads toward autumn, marketers say. “Right now, there’s still a lot of strawberries available in promotional quantities into September, and then we transition to a fall crop out of Oxnard and that goes into December,” said Jim Grabowski, director of marketing with Watsonville, Calif.-based Well-Pict Inc.
Well-Pict grows strawberries and raspberries for the late-season deal on about 700 acres in Oxnard, Calif., Grabowski said. The late-season deal has a challenge not like any other, Grabowski said. “The trouble is, this time of year, we have a lot of competition from other fruits out there,” he said. Summertime strawberry promotions are ubiquitous. It falls on marketers to keep the momentum going in the late summer and fall, Grabowski said. “It’s a matter of reminding people,” he said. “They’ve been seeing (strawberries) all summer and, once you transition to fall, if you can keep retailers to keep them front and center, they still will move. Strawberries have eye appeal, which counts for a lot in a retail produce department, Grabowski said. “If strawberries can stay in a good position, prominent in the produce department, they still will sell,” he said. Salinas, Calif.-based Naturipe Berry Growers has a fall crop in Santa Maria, Calif., said Craig Moriyama, director of berry operations. “By design we set that back from a year ago because there was too much overlap (with the Salinas Valley crop),” he said. Production has been steady over the summer, with somewhat mild conditions, Moriyama said. Everything looks good for the fall crop at CBS Farms in Watsonville, said Charlie Staka, operations manager. “We are on track with that crop, and it looks like we’ll have good volume for the fall,” he said. The late-season deal should begin under “stable” market conditions, said Jason Fung, berry category manager with the Vancouver, British Columbia-based Oppenheimer Group. “Obviously, the Fourth of July and post-Fourth often has an effect on all items on produce,” he said. As of July 14, strawberries from the Salinas-Watsonville District packed in flats of eight 1-pound containers with lids were $5-9 for size medium to large, according to the U.S. Department of Agriculture. A year earlier, the same item was $8. The start of the 2017 season was a bit rocky, slowed by some cool, wet conditions in the late winter and early spring, but the crop settled in nicely afterward and continues to produce good-quality fruit, said Cindy Jewell, vice president of marketing for Watsonville-based California Giant Berry Farms. “We are not expecting any real shifts in volume for the next several weeks, as summer weather patterns have really settled in and volume will be somewhat consistent on a weekly basis,” she said. This entry was posted in Produce News and tagged Citrus, logistics, reedtms, strawberry, thepacker, transport on August 1, 2017 by ReedTMS. 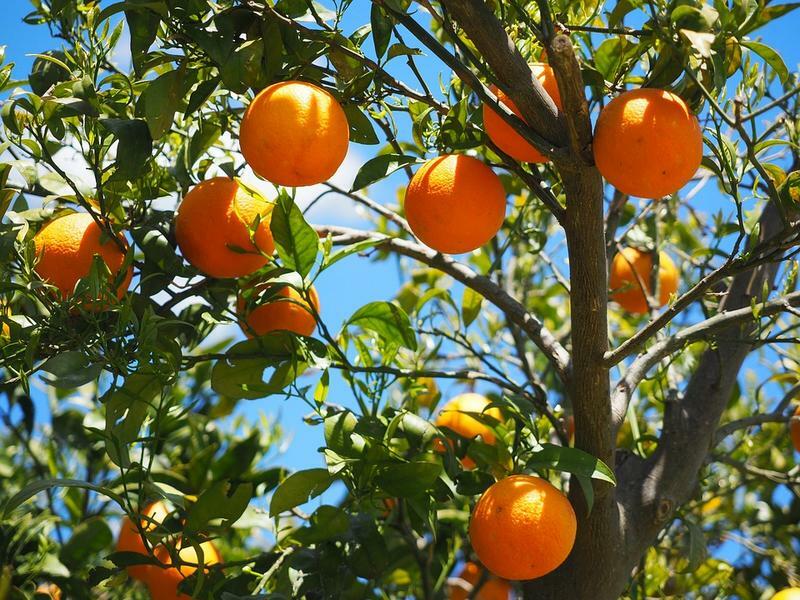 The orange projections are up slightly – which the Florida Department of Citrus focused on as a positive sign – from June by 200,000 boxes, but it still represents a decline from the year before by 16 percent. “Ending the season on a positive note is a big deal because it shows there is still investment in Florida’s signature crop. It takes quite serious effort to produce every single piece of fruit. Every additional box shows promise for Florida Citrus,” said Shannon Shepp, executive director of the Florida Department of Citrus in a prepared statement. Grapefruit harvests are down 28 percent from a year ago. Last year, growers produced 81.6 million boxes of oranges, and 10.6 million boxes of grapefruit. Droughts and residential encroachment have put increasing pressures on a struggling industry that has already been fighting with a deadly citrus disease called citrus greening. Agriculture Commissioner Adam Putnam compared greening to a “biblical plague” going through state groves. Citrus greening, also called Huanglongbing, a bacterial infection spread by certain insects, is incurable once a tree is infected. It was first discovered in the U.S. in Miami-Dade County in 2005. 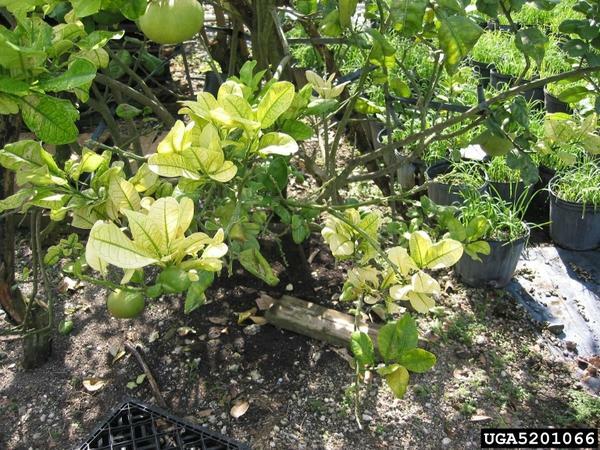 Typical commercial trees have a viable life of 50 years, but trees infected with citrus greening can die in as few as five years according to the USDA. Infected trees often produce bitter and misshapen fruit. In June, citrus greening was confirmed in Alabama for the first time. During the 1997-98 season, Florida produced 244 million boxes of oranges. A decade ago, the state’s citrus industry accounted for nearly three-fourths of all citrus production in the U.S. Now that number is down to just 58 percent. California, which filled 48 million boxes this year, accounted for just under 41 percent. This entry was posted in Produce News and tagged Citrus, fruit, oranges on July 13, 2017 by ReedTMS. A Lee County circuit court judge said the state agriculture department needs to repay local residents for destroyed citrus trees, or explain why it refuses to pay. The Florida Department of Agriculture has less than 40 days to respond. The department removed thousands of healthy citrus trees nearly two decades ago. It was a failed attempt at eradicating the bacterial disease citrus canker. Juries in Lee and Broward Counties both ruled in favor of repaying the homeowners for each tree taken from them. The Florida Legislature allocated the roughly $37 million for both counties in this year’s state budget. And then Gov. Rick Scott vetoed the reimbursements. So thousands of residents submitted formal requests in Lee and Broward circuit courts to force agriculture officials to pay the compensation. Now, Lee Circuit Court Judge Keith Kyle ruled the agriculture department must pay Lee residents or explain why it won’t within 40 days. “So that’s a positive first step,” said Bobby Gilbert, the attorney for the Lee and Broward residents. He’s still waiting to hear back from the Broward Circuit Court, though. But aside from those cases, he’s taken Gov. Scott to the Florida Supreme Court, asking for his reimbursement vetoes to be overturned. “If the Supreme Court rules in our favor… the money will be paid and paid forthwith immediately and this whole thing will be over and done with once and for all with respect to Lee and Broward,” he said. Gilbert said, otherwise, it could take at least a couple years to move forward with the cases at individual circuit courts. He said he expects the high court will issue a ruling before its summer recess. This entry was posted in Produce News and tagged Citrus, Trees on July 7, 2017 by ReedTMS. The Florida Supreme Court on Wednesday gave Gov. Rick Scott’s administration until noon Monday to respond to a lawsuit challenging the governor’s veto of $37.4 million intended to go to residents whose healthy citrus trees were cut down as the state tried to eradicate citrus-canker disease. The Supreme Court set the deadline after the lawsuit was filed Tuesday on behalf of homeowners in Broward and Lee counties and their attorneys. Lawmakers included the money in the 2017-2018 budget after years of litigation about the state’s removal of trees in those counties and other parts of the state. The money would satisfy judgments against the state, which destroyed healthy trees from 2000 to 2006 as officials fought citrus canker. The filing Tuesday at the Supreme Court contended that Scott’s veto of the money was unconstitutional and asked justices to address the issue before the July 1 start of the fiscal year. In vetoing the money June 2, Scott cited “ongoing litigation” as the reason. Story by Health News Florida. This entry was posted in Produce News and tagged Citrus, florida, produce on June 22, 2017 by ReedTMS. Stories of the fatal bacterial disease, citrus greening, often focus on growers, who have seen their annual harvest decline by more than 70 percent because of greening. Just as severely impacted have been Florida’s fresh citrus packinghouses, which buy a large portion of Florida’s annual orange, grapefruit and tangerine harvests and sell them to supermarket chains and retailers across the U.S. and ship to export markets, including Japan, Canada and Europe. In the 2000-01 citrus season, Florida had 106 citrus packinghouses operating across citrus belt, which runs roughly south of Interstate 4, according to the Florida Department of Citrus. That was before greening was first confirmed in Florida in the fall of 2005. Each of the top 24 packinghouses sold more than 1 million cartons of fresh citrus that season, according to the Lakeland-based Citrus Administrative Committee, a federal agency that regulates the industry. All packinghouses combined shipped 55 million cartons. The 2016-17 season saw only 26 packinghouses operating in Florida, less than a quarter of the total from 16 seasons earlier, the statistics show. Among them, only one, Egan Fruit Packing LLC in Fort Pierce, will ship more than 1 million cartons, and the industry output in 2016-17 will total just more than 12 million cartons, a 78 percent decline during the 16 seasons. Few expect things to improve in the near future, which is why several of the remaining packinghouses, including Ben Hill Griffin Inc. in Frostproof, have already announced they won’t re-open for the 2017-18 season. Broadaway was referring to equipment on two of the three packing lines, which have been idle for the past three seasons, he said. The Haines City Citrus Growers Association has put its packinghouse up for sale, although it expects to run the facility in 2017-18 and perhaps the following season until it finds a buyer, Broadaway said. As Broadaway stated, locking up a supply of fruit is the key to survival until scientists can find a way to overcome citrus greening’s damaging effects. Like the Haines City Growers, some packinghouses ensure supply by signing long-term agreements with independent growers that commit a certain portion of their harvest to that company. As citrus growers leave the industry, particularly small and medium-sized growers with less than 1,000 grove acres, those packinghouses are left with finding uncommitted fruit on the open market. Others hope to survive by pursuing a grow-your-own strategy. That means packing mostly fruit from your own groves like the Peace River Packing Co. in Fort Meade. About 80 percent of the oranges, grapefruit and tangerines that run through the Peace River packinghouse come from the company’s own groves, he added. That percentage has increased in recent seasons because the supply from independent, or third-party, growers has dried up not just for Peace River but across the industry, Black said. “We grew our third-party business in the past, but in the last three years that supply has really diminished,” he said. Even with aggressive new plantings, however, the Peace River packinghouse’s output has fallen from more than 1 million cartons in 2008-09 and the following season to about 400,000 this season, Black said. In addition to a diminishing third-party market, the contraction stems from the greening-related production declines in its mature groves, the same declines seen across Florida, he said. In addition, new groves don’t produce marketable fruit until at least the third season after planting. “Over the next five years, we’re going to focus on rehabilitating groves that have not been productive,” Black added. That means Peace River won’t be increasing its acreage, but much of that acreage will have newer, more productive groves, thus increasing supplies. Another packinghouse pursuing a grow-your-own strategy is operated by the Hunt Bros. Cooperative, which has more than 5,000 grove acres in Polk County and the Immokalee area. Frank Hunt III, president of the family company, agreed the supply of third-party fruit has dried up. Hunt Bros. has shipped 889,936 cartons of fruit through April 30, the second highest total in the state, according to Citrus Administrative statistics. Still, that’s down from 1.4 million cartons in the 2013-14 season. One hope for maintaining supplies, at least in the near term, is the success of some new tangerine varieties that appear to tolerate greening infection better than the traditional varieties, Black said. The trees still become infected, but greening symptoms such as the smaller size of the fruit and increased pre-harvest drop appear to be not as severe. About 70 percent of Florida’s “specialty citrus” crop, including tangerines and tangelos, is sold on the fresh market. The U.S. Department of Agriculture forecasts the 2016-17 specialty harvest at 1.63 million boxes. A carton of citrus, the standard packinghouse measure, equals a half-box. In addition to tolerating greening, the new specialty varieties are easy to peel and are seedless or nearly so, Black said. Both qualities are in high demand among U.S. consumers. Shipments of the new varieties have increased from 33,061 cartons in 2013-14 to 258,289 cartons this season, a nearly eight-fold increase, according to Citrus Administrative statistics. The agency projects that total to rise to 400,000 cartons next season. One popular new variety is the Sugar Belle tangerine, developed by breeders at the Citrus Research and Education Center in Lake Alfred and released to commercial growers in 2009. Because of high demand from growers, Sugar Belle ranked second among all specialty trees grown last year in Florida citrus nurseries, according to Fred Gmitter, professor of citrus genetics and breeding at the Lake Alfred center who helped develop the variety. This entry was posted in Produce News and tagged Citrus, florida, produce on June 6, 2017 by ReedTMS.